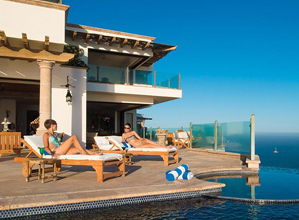 If you love Los Cabos, you'll love the exclusive benefits of our Amigo Travel Club! Villa arrival welcome amenities including margaritas, salsa and chips. You'll Save Big! For example, if you spend $3,000 on a 4-night stay in one of our villas, as an Amigo Club member you'll save $150, which is twice the cost of an annual membership. Note: The 5% discount is valid only after your first stay with us. To receive the discount, reservations must be made and paid for in a member's name. Discounts and memberships are non-transferable. Membership must be valid during travel dates. Memberships are valid for the indicated time period from your enrollment date. The Lifetime Membership does not have an expiration date. Membership enrollment fees are non-refundable and non-transferable. Trust our team of Cabo experts to show you the finest Los Cabos has to offer. With magnificent villas and beachfront resorts, we can help you find the perfect spot for your vacation. We offer a range of extras from chef services to in-villa spa treatments.